A home water heater on the fritz means a complete and stressful stop to your normal day to day. In order to restore normal Indianapolis home function you need the support of a service team that offers superior priority services that guarantee perfect repair results! And around here, that means you need the certified plumbing specialists at Service Plus Heating, Cooling & Plumbing. 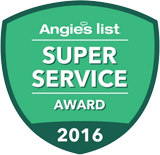 Our experts have been helping homeowners get the reliable service and trustworthy care they need for decades. We’re industry leaders in customer-focused service, quality, and cost-effective solutions! We have the skill and training need to provide for all of your water heater repair needs, and we’re not satisfied with our work until you are. Looking for water heater repair in Marion County? Call on Service Plus now! You can catch us online any time you need us, or give our service specialists a call at (317) 434-2627! Odd tank noises. Rumbling and popping sounds typically indicate a natural buildup of sediment. Often enough the issue is a common one and easy to repair. But don’t let the issue fester, as it will only get worse and can lead to more serious types of damage! Discolored hot water. If the water coming from the hot side of faucets and showers is brown, reddish, or full of flecks then you probably need a tank flush. There are potential bigger issues, but generally speaking the problem is a low-stress one with a pro on your side. Leaking. As a system that, of course, holds and moves tons of water, there are quite a few potential spots for a leak to start up. Keep watch for signs of water damage along walls and floors near the water heater, or for puddling under the tank. Temperature fluctuations. Is your hot water getting too hot, or just not hot enough? First off check your temperature settings, as it is possible they were tampered with or bumped accidentally. If that’s not the cause, however, you’ll need a professional’s help. For hot water services that are quick, effective, and always excellent, you can count on Service Plus to provide. Call us today to get your complimentary service quote, or to schedule your repair service—(317) 434-2627! We provide water heater services to Indianapolis and the surrounding communities, including: Anderson, Carmel, Fishers, Greenwood, Lawrence, Noblesville, Plainfield, Westfield, and Zionsville, Indiana.